First up is Rehab shampoo from LUSH cosmetics. As some of you may already know I am a big fan of LUSH cosmetics and their ethos. After years of curling, straightening and well, plain frazzling my poor hair I decided to start to try and help my damaged hair : enter Rehab shampoo. Rehab has been great for my hair and my split ends don't seem half as bad as before, which is always fantastic. Another thing to note with Rehab shampoo is that it is great for those with a sensitive scalp. I was sad to see the end of my Clarisonic refreshing gel cleanser which I got free with my Clarisonic Mia – I did a review of my Clarisonic here! 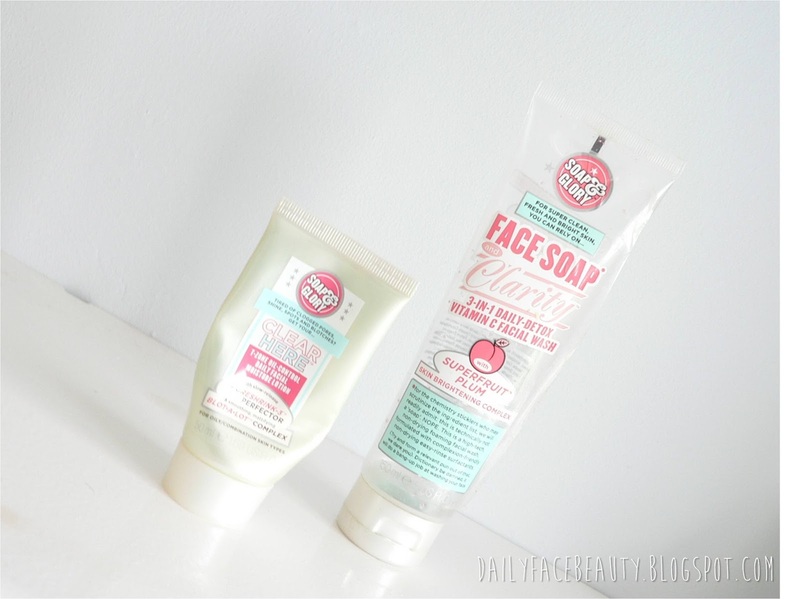 Another one of my empty products is one of my favourite cleansers of all time -Face Soap and Clarity by Soap and Glory. Having recently had a look in Boots I believe they have repackaged this product however it still looks as cute as ever! The cleanser itself is bright blue with tiny pink microbeads in order to exfoliate the skin, as well as cleanse it. The best quality ,of this cleanser, has to be the way in which zaps up any excess oil and leaves my skin matte and ready for the day ahead. 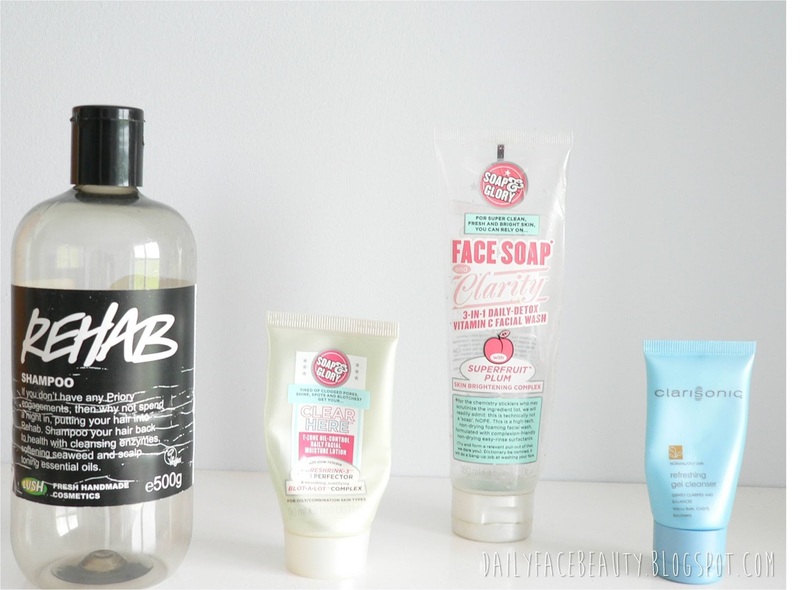 Finally there is Soap and Glory's Clear Here daily moisturizer. This is my third bottle of this and I still adore it! The best thing about this is what a great base it makes for makeup as the promattifying complex leaves your skin matte instead of oily- which is great as there is nothing more I despise than the feeling of a greasy moisturizer on my skin. I would definitely recommend this moisturizer the only thing that is missing from it is an SPF - but other than that I think it’s absolutely fabulous!